In 2015, Nike Training Club started energizing exercise events around the world. Nike asked us to help launch NTC Los Angeles by overseeing the main stage for this massive event on April 25th, 2015. 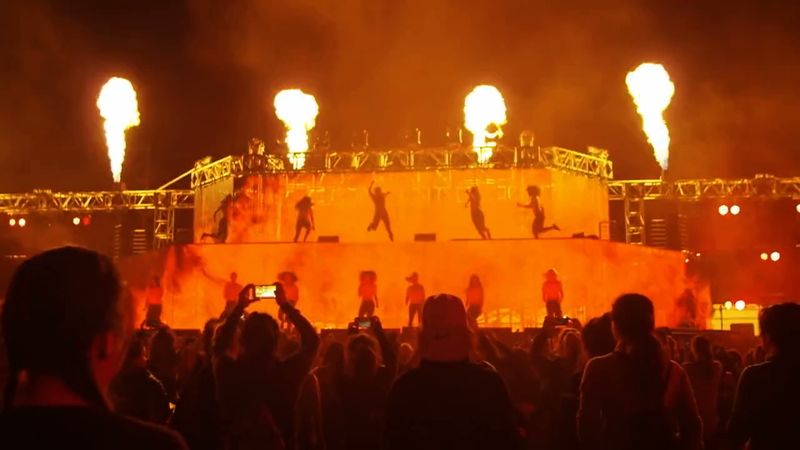 We teamed up with Beyonce’s creative director Todd Tourso to create a stage to entertain 2500 participants. We built an 80-foot tall by 25-foot wide multi-tiered LED screen to display an animated visual collage we created beforehand which synced with the music of our live on-stage DJ extraordinaire, MeLo-X. We topped it off with an epic light show and fireworks finale.